Composite fillings (or tooth colored dental fillings) are a procedure that is used to fill the structural voids created cavities and tooth decay. Fillings are among the most common of dental procedures. While you may be familiar with the term “dental filling,” and possibly even have one, you may not be fully aware of what exactly a dental filling is or why you needed one in the first place —after all, a lot of people get fillings as kids and often times forget they have them in their mouth! Dental fillings are simply a material that is used to “fill” in the area where tooth decay has occurred. These are generally used for smaller cavities and can also be used to treat less significant tooth fractures. The most common reason for a filling is due to tooth decay or cavities. A sugary or acidic diet in combination with improper home care and plaque removal creates an environment where bacteria thrives, causing tooth decay. In order to avoid starting a cavity, it is important to strive for good oral health by brushing and flossing daily while limiting the amount of sugar and acids in your diet (i.e. candy, caramels, sweet tea, sodas, excessive juice intake, etc.). Thankfully the procedure for dental fillings has evolved over time to yield a result that is generally pain free and aesthetically pleasing, so that your tooth can have a good long term prognosis. Unsure about Needing Filling? Call (251) 666-3600 Today. 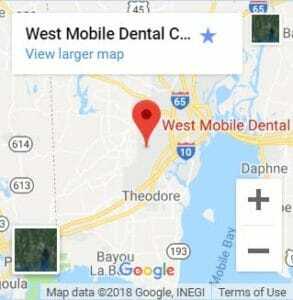 There are a few different kinds of dental filling material, which may be best suited for the location and size of your cavity. The two main types of fillings are metal and tooth colored—both of which are broken down into subcategories. There are two different types of metal fillings that your dentist may use—amalgam or cast gold. Amalgam is generally the most inexpensive option. These fillings are made with a mixture of silver, tin, copper and mercury that is combined to make an alloy. Concerns over heavy metals in popular culture have limited the placement of these fillings as of recent. Generally speaking, conservative amalgam fillings have a good long term prognosis. Extensive amalgam fillings do not flex similar to tooth structure when chewing and can lead to the fracture of tooth structure. 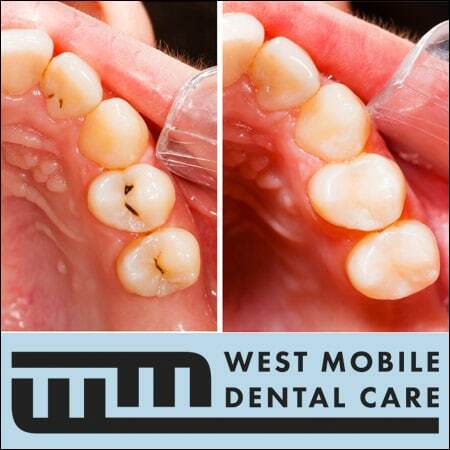 Sometimes a crown may be recommended in the event your metal filling is significant in size. The other option is cast gold. While cast gold is strong, it’s also expensive and noticeable. Cast gold or gold foil fillings are a more antiquated option that is rarely used in today’s dentistry. Tooth colored filling materials are a nice alternative to amalgam or gold. Inherently more aesthetic, they blend in well with your teeth and look more natural. There are two main types of tooth-colored fillings that your dentist may use—composite or glass ionomer. Composite resin is the most common choice for tooth-colored fillings due to its easy placement and application and its ability to blend in with surrounding tooth structure. One of the main disadvantages is its tendency to stain over time with the consumption of tea, wine and coffee and the use of cigarettes or smoking. Glass lonomer restorations are made from glass and acrylic powders. While they do look natural and blend well with surrounding teeth, they are not as strong as other options, putting their predictable longevity in question. Generally, glass ionomer fillings are placed on cavities located on root surfaces where they can release fluoride. Speak with your dentist about which options are right for your particular needs. Before the procedure is started, your dentist will evaluate the tooth that may need a filling. They may notice a cavity during a routine cleaning, or you may have come in with a toothache. In either scenario, the dentist will take an x-ray to see the extent of the damage or decay. If the cavity is superficial in nature and conservative in size, they will likely recommend a filling. The dentist will place local anesthesia to numb the tooth and surrounding gums. Next, the decay is removed with a dental drill. Once the tooth is cleaned and primed for the filling, the material is placed and light cured to harden. The dentist will ensure that your bite is adjusted so that it feels normal and comfortable. WHAT SHOULD I EXPECT AFTER A TOOTH FILLING? After a couple of weeks, your teeth will feel like normal, and you won’t even notice the filling! However, for the first few weeks after the filling was placed you may feel some sensitivity, especially with hotter or colder food/drinks. If you continue to feel any pain or discomfort, it’s important to speak with your dentist and set an appointment to reevaluate the filling. Fillings will generally last you a lifetime, but they may wear or crack, especially if it is a larger filling and you bite down on something too hard. Also, just because you get a filling, doesn’t mean the tooth is now resistant to decay! The rest of your tooth can still be affected by cavities. So, it is extremely important to continue to maintain good oral hygiene. Proper oral health care will help you to avoid needing fillings altogether. This includes brushing, flossing, using mouthwash, and scheduling routine cleanings at least twice a year. Professional cleaning appointments won’t just keep your teeth in better shape—they will also allow the dentist to check on your overall oral health.